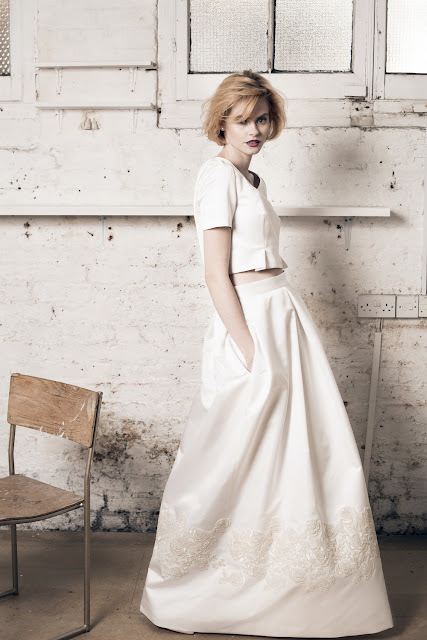 Muscat creates the most exquisite, minimalist wedding dresses for modern brides. The deserved winner of our BridalNEXT! competition to the find the NEXT BIG THING in 2014, Muscat is renowned for it's bold, cutting edge designs and couture finishing. Most Curious have been following Muscat since they exploded onto the bridal scene and we think their 2016 collection is the best yet. Designed to accentuate each bride's natural beauty rather than overwhelm with complexity, every dress is designed and handcrafted in Muscat’s London atelier using the most luxurious fabrics. 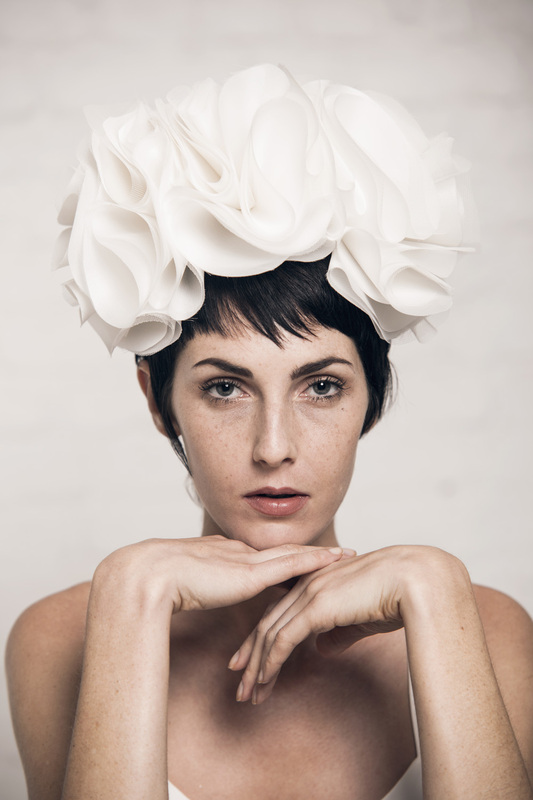 Most Curious also highly rates the exciting range of headwear offered by Muscat, featuring a selection of stunning pieces including Riri, the ultimate studded statement, and Loren, a softer but equally striking look - modern bride must-haves! And did you know that designer and founder, Kevin Muscat, has a most curiously fascinating past?! Kevin left his native Malta at 18 to pursue a top flight career in dancing that took him to the Royal Opera House, Glyndebourne and international tours including Matthew Bourne’s world famous all-male Swan Lake. Upon retiring, Kevin moved into fashion, developing his extensive self-taught skills while working for four years under Stevie Stewert, co-founder of internationally acclaimed 80s brand BodyMap, creating costumes for pop icons such as Kylie Minogue, Britney Spears and Cheryl Cole. Drawing on his background as a top-flight international dancer, Kevin creates timeless pieces that accentuate the bride’s every movement, emphasising her beauty as the dress dances around her. This excites the MC team greatly...we are SO going to beg him to give an impromptu twirl at the show! The first thing I do when I get to the atelier is to make a pot of coffee. I have a chat to my team, talk about what we need to get done in that day, see how the orders are coming along, and how the new collection is progressing. I then sit (or stand these days) at my desk, looking at my giant mood board. This gets me into the Muscat zone. There are always emails to answer in the morning, but I prefer to do the creative stuff first. I am usually bursting with ideas at this time of day, so I spend some time sketching or draping on the mannequin. It is not unusual for me to have imagined new dresses in my sleep, so I test whether I can make them work in real life, using fabrics from the collection. I always take pictures as I’m working, to keep a record of anything that I might use later on. I have been known to do a little dance every now and again too! I like to take care of the more technical aspects after lunch. It’s a good time for me to oversee the cutting of patterns and the production of garments, making sure every dress that comes out of our atelier is absolutely perfect. Later on, we tend to have our fittings and appointments with any clients coming directly to us. This is always very exciting, seeing a dress come to life, seeing how it moves, and enjoying the client’s face lighting up. Again, I have been known to do a little dance every now and again too! I draw inspiration from the city around me. Living and working in an exciting city like London, inspiration comes at me from every direction. People are so interesting to look at. The architecture is fantastic. The parks, the flowers, shop window displays, museums, art…. The sources are infinite. My husband often discovers that I’ve stopped listening to him mid-conversation because I have seen something that sparked an idea. I always carry a sketchbook with me, so I quickly pull it out and put the idea down on paper. With a background as a professional dancer, I am naturally inspired by movement. That could be someone’s walk, or it could be chiffon blowing in a breeze. It is a very romantic way of thinking about dresses. I can see the bride dancing the night away and having fun. I would describe my brides as confident, happy, elegant but playful. Muscat is exhibiting at our 2016 London show at the Old Truman Brewery so get your tickets now and prepare to be love-struck!